Sherwood Egbert asked Raymond Loewy to design a sports car for Studebaker. Loewy assembled a design team in Palm Springs that included John Ebstein, Robert Andrews, and Tom Kellogg. Sketches and a scale model were produced and Egbert flew his own plane to Palm Springs, suggested a few changes, then gave the go-ahead. Further changes were made to a full-scale model, including Egbert's insistence that the rake of the front windshield be decreased. Egbert presented the clay model to the Studebaker board of directors, initial public response was enthusiastic, dealers begged for the cars, and the Avanti was a hit at auto shows. A sign over the car in South Bend proclaimed that "a new star is born." It seemed that Egbert and his dream car would save Studebaker. Then engineering and production problems caused potential buyers to cancel more and more orders. 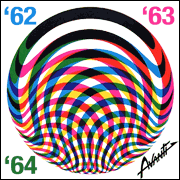 Avanti production was halted in November 1963. Egbert's dream, Studebaker's "swan song," and Loewy's masterpiece seemed destined for premature oblivion. 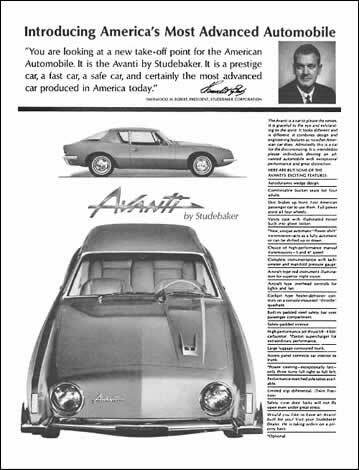 But the Avanti is no ordinary car: it defied that fate, survived for four more decades, and a new version went into production as the new century began. 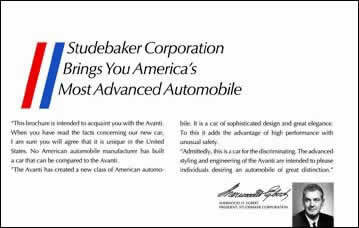 Early Studebaker advertising promoting the Avanti as America's Most Advanced Automobile. 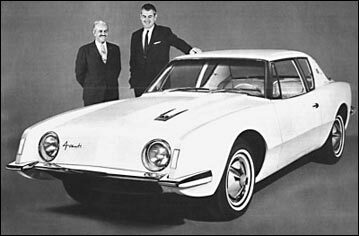 Raymond Loewy and Sherwood Egbert with the new Avanti.